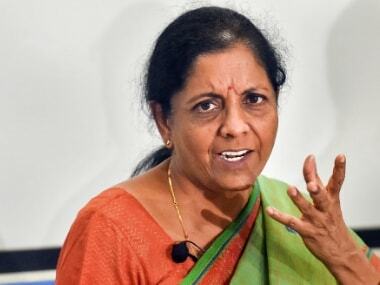 Chennai: Defence Minister Nirmala Sitharaman on Tuesday blamed the Congress-led UPA regime for public and private sector banks facing huge corporate bad loans. 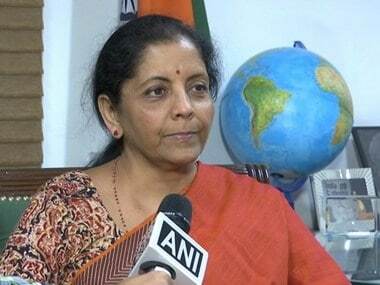 Loans were provided without following due diligence and as a result, defaulters fled the country and the banks had no money to lend, Sitharaman said obviously referring to fugitive business barons like Vijay Mallya and Nirav Modi. Sitharaman had also held the portfolios of corporate affairs and finance (Minister of State) and was the Minister of State (Independent Charge), Commerce and Industry. Huge loans were provided by banks at the drop of a hat "when a phone call was made," by the powers that be, the minister said, addressing a BJP traders wing meet here. Since such loans were not paid back till date, the banks faced a crunch and could not lend for new businesses. "Public and private sector banks are all facing difficulty due to this. Though policy allowed banks to provide loans, banks are not prepared to lend as they do not have money. Why this happened?" she asked. 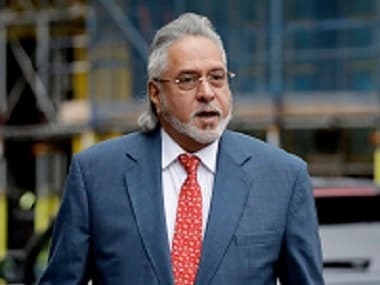 Loans were provided to "acquaintances" without any assessment, scrutiny or background check to ascertain if the promoters could actually carry on the business and pay back the loan, and it was "crony capitalism," followed by the UPA regime, she alleged. "Under the guise of providing loans to do business, banks were made to lend without assessing factors like repayment capabilities, assets and expertise and they (apparently referring to Vijay Mallya and others) have departed with the money and the banks do not have money," Sitharaman said. Under such circumstances, to achieve 7.5 to 8 percent growth (GDP) rate, several efforts have been taken by Prime Minister Modi, she said. To tackle the issue of defaulters fleeing the country after cheating banks, an enabling legislation --The Insolvency and Bankruptcy Code, 2016 -- was passed which envisaged attachment of properties, she said. "This law was not brought during their (UPA) regime),"she said. Defaulters fled the country in view of tough action. Still, even if defaulters had fled the country, efforts are being made to bring them back home to justice and attach their properties as well for default, she said. Sitharaman said the BJP-led Centre has given good governance and all welfare schemes have to be taken to the people. If a comparison was made between the 48 years rule of the Congress and other parties at the Centre and the BJP-led NDA for the past 48 months, she said it could be understood that what the Centre has been doing was a "herculean task." "During the 10 years of the UPA regime, they did nothing to give good governance," she said. 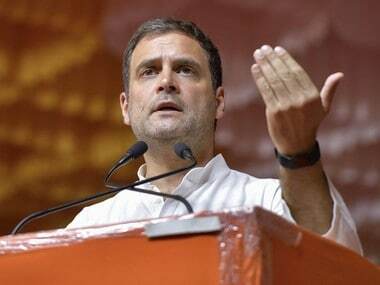 At that time, even at the cost of "betrayal," of the country, those who held power eyed only things that could be "grabbed," and then Prime Minister Manmohan Singh was not bothered about it even as corruption reigned, she alleged. She blamed the UPA regime for its "corrupt governance," and leaving the economy in a shambles. Sitharaman dwelt about other welfare schemes of the Centre like the 'Ayushman Bharat'. The traders's wing meet was the starting point to the Lok Sabha campaign in Tamil Nadu, she said.